It is one of those unseemly matters that tend to beset governments right around election time. And yet Taiwan’s Mainland Affairs Council (MAC) Deputy Minister Chang Hsien-yao’s removal from office on August 16 for allegedly leaking classified information to the People’s Republic of China (PRC) is not just another sensational political scandal. The Chang affair has raised serious questions about the Ma administration’s ability to manage cross-Strait relations and secure Taiwan against intensified PRC espionage activities; and it couldn’t have come at a worse time for President Ma Ying-jeou’s party the Kuomintang (KMT). 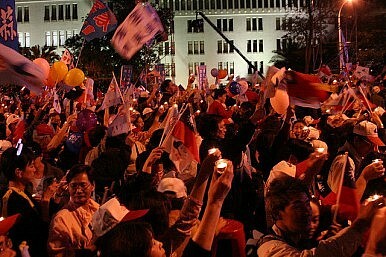 Taiwan is preparing to hold local elections on November 29 in which a record 11,130 public servants will be chosen. It is generally believed that a strong showing by the opposition Democratic Progressive Party (DPP) in the local elections could greatly improve the party’s chances in Taiwan’s 2016 legislative and presidential elections. Hence, a scandal such as the Chang affair that increases doubts about the Ma administration’s controversial China policy or its ability to fulfill its fundamental responsibilities could have grave knock-on consequences for the president’s party at the ballot box. The story of Chang’s removal from office broke quietly. On August 16, the MAC announced that Chang was stepping down from his position for “family reasons.” The following day, however, Chang informed Taiwanese media that he had in fact been told to resign on August 14. MAC spokeswoman Wu Mei-hung then told a press conference that the council had lied about Chang’s resignation in order to protect him while it conducted an internal investigation. The case has since been turned over to the Taipei District Prosecutors Office. Details of the Chang affair remain murky. According to a report by the Taiwanese newspaper The United Daily News, Chang is accused of leaking two “secret” documents, four “confidential” documents, and 18 other classified documents. Investigators have not disclosed precisely what kind of information Chang is alleged to have leaked, but various Taiwanese media have reported that Chang provided the PRC with information related to Taiwan’s airspace, among other things. The Ma administration has tried to downplay the Chang case, arguing that Chang wasn’t in charge of negotiating any of the 21 cross-Strait agreements signed since Ma came to office in 2008. The president himself has likened the scandal to “small waves” going against the general trend of progress in cross-Strait relations. A spokesman for the PRC’s Taiwan Affairs Office echoed Ma’s message at a regular press conference earlier this month. Nevertheless, many wonder how leaks by one of Taiwan’s top negotiators responsible for dealing with the PRC could do anything but damage cross-Strait relations and cast a shadow on the already contentious issues being negotiated under the Economic Cooperative Framework Agreement (ECFA) – the preeminent achievement of President Ma’s pro-engagement strategy toward the PRC. Some Taiwanese worry that the leak story, if true, might just be the tip of the iceberg. At the start of Taiwan’s new legislative session on September 12, legislators voiced their concerns to Premier Wang Jin-pyng and MAC Minister Wang Yu-chi that Chang might not have acted alone. Yesterday, Wang was questioned by legislators from the Democratic Progressive Party, and was urged to halt cross-Strait negotiations until the investigation into Chang is concluded. A high-level government official giving away state secrets to the PRC would seem to belie those reassurances. Nevertheless, the Ma administration is in no position right now to reevaluate its China policy or wage a campaign to beef up Taiwan’s security. It has already seen one of its key cross-Strait initiatives stall this year as a result of vigorous public and political opposition, and anything that draws attention to the broader implications of the Chang scandal will only re-energize that opposition. Therefore, going into the November elections all the administration and its supporters in the KMT can do is try to tamp down speculation about the Chang case and parry the DPP’s thrusts in the media and the legislature. Damage control is the name of the game. Kristian McGuire is an independent, Washington-based researcher and volunteer with Taiwan Security Research. He recently earned his master of international affairs degree from George Washington University’s Elliott School of International Affairs.